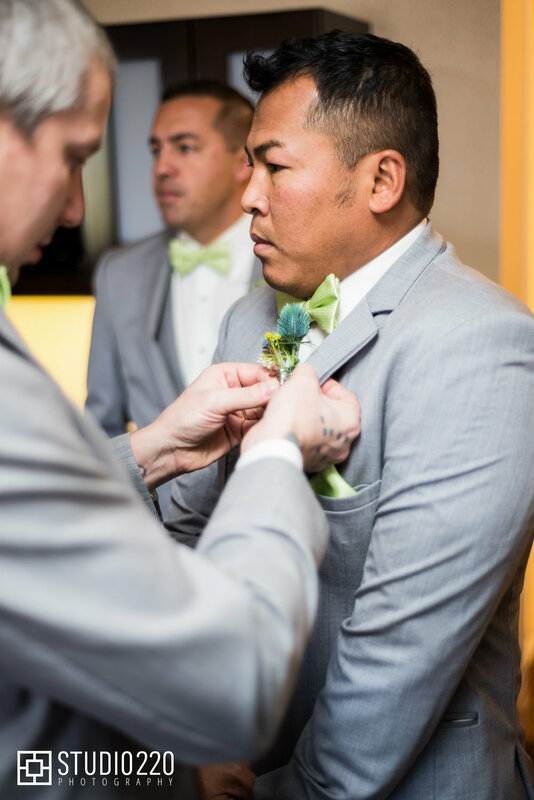 This romantic wedding featured unique florals and rich green magnolia leaves. The peeks neon on the bridesmaids and green apples on the tables brought a pop of color to the crisp November weather. Hosted on a peninsula, The Chart House in Lakeville, MN, boasts both a beautiful ceremony and reception site. Studio 220 Photography did not disappoint. I know Elissa & Tyler will cherish the photos for years to come! Elissa is a bride with many talents. One of the most mentionable is her love of mermaids and the business she started recently where she acts as a mermaid for birthdays and other events around the Rochester area. She is a beautiful woman with an even more beautiful heart! Congratulations on your perfect day!